Agdova strives to offer custom solutions across design, development and marketing operations in a cost-effective manner to enhance your revenue. We differentiate ourselves from others through our tools, processes and frameworks which are not canned in nature but customized at each step of the way towards solving your unique problem. “We Are Dedicated to Our Client’s Success”. Agdova pays precise focus to detail and puts the client’s needs and desires at the forefront. We believe in maintaining constant communication along the way, which is the key to any successful relationship, and we use all our expertise in the process to exceed your expectations. Skilled and Focused Team – Our People make it all possible! Agdova hires the best designers, developers and digital marketing professionals. 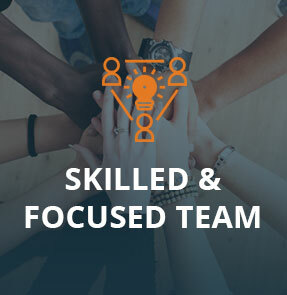 Rather than have just one or two super-talented people who can do everything, we work as an integrated unit and disburse roles based on skill sets specific to each project at hand. This means you’ll get someone who not only understands the bigger picture (in terms of overall goals and objectives), but is also a master at executing the specific tasks at hand for your project. This also means you don’t have to worry about reviewing and hand-holding out team’s output at each stage since all of our efforts are already tightly integrated towards a single outcome. We believe that innovation takes inspiration from many disciplines. One must understand the power of design, technology, marketing and strategy to create an exceptional digital product. That is why we believe in allowing creative collaboration and exploration between these experts rather than mandating project plans to work across silos. And this shows in all our outputs and deliverables.